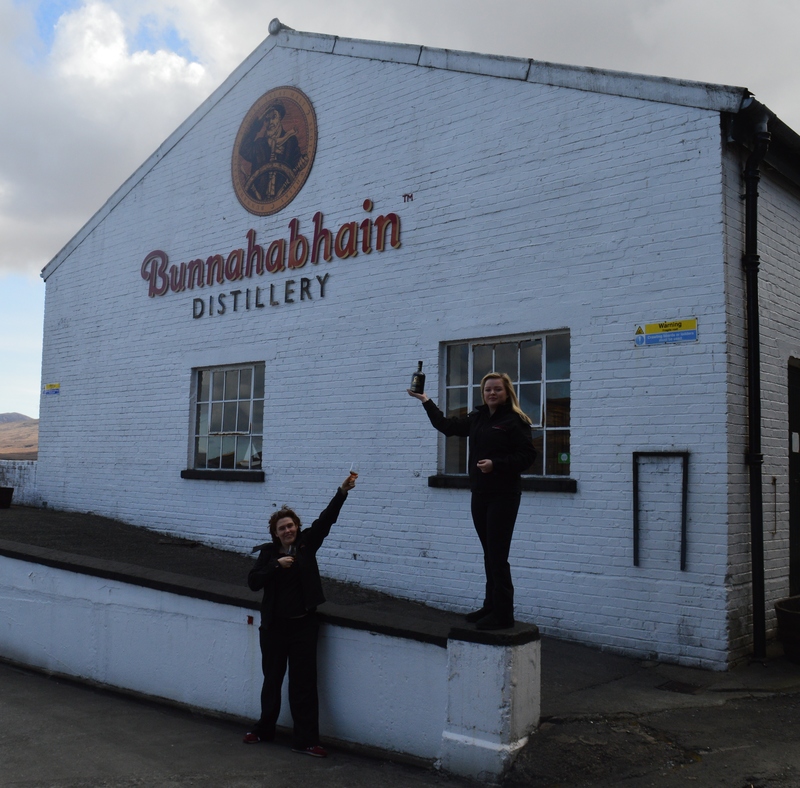 Meet the women who are waking up Bunnahabhain Distillery, offering hospitality, education and enthusiasm to all who visit. 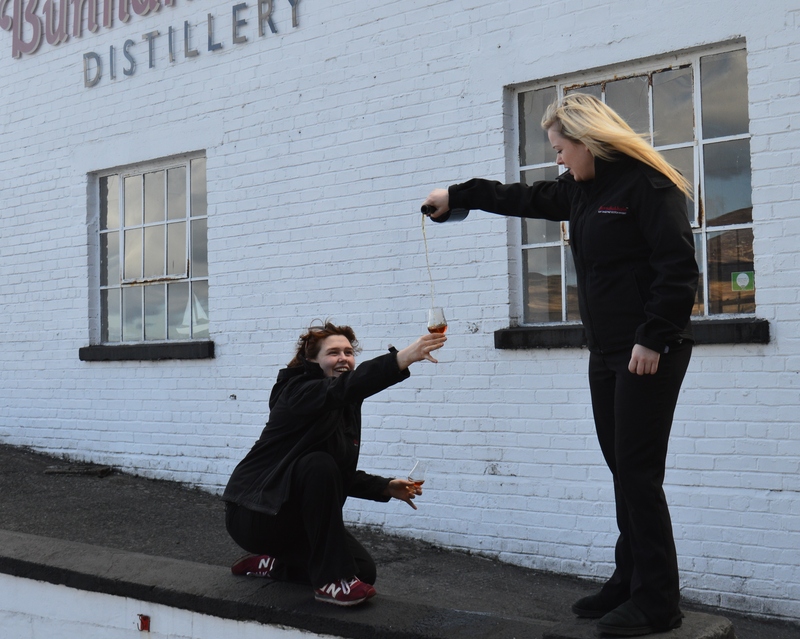 KR-More women are getting into whisky in the last couple of years, women of all ages are drinking whisky… the women are taking over! Where do you see yourself going in the industry? KR- I hope to continue with what I’m doing at the moment, and see where it goes. 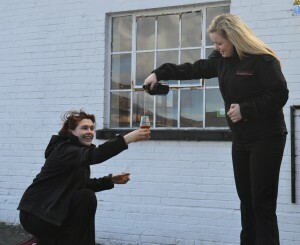 HB – In the 1920’s the manager of St. Austell’s Brewery in Cornwall was called Hester, she was referred to as a witch…. very inspirational..! HB- The science behind it. KR- There are so many different styles, so many different things to chose. Also, there is always something new. HB- The filling store & warehouses. I like it all. I like the mechanics of it. I like banging on the stills! I think someone could make music from it. 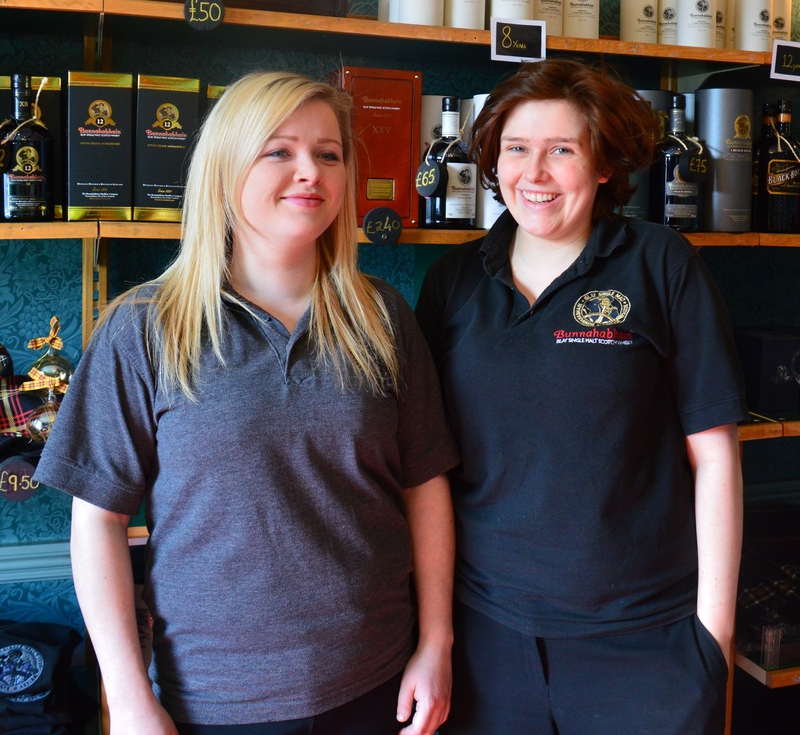 Also, it’s always good craic in the filling store! KR- The washbacks. I like to see the fermentation. What is actually happening is all natural, and people don’t really understand it. HB- Texture, apart from flavour. I tend to prefer single cask. KR- That WOW! factor. Something interesting. 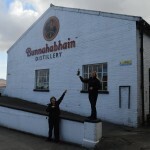 Where is your ideal place to drink a dram? HB- With good company having good whisky discussion. KR- Enjoying a good dram with pals. When did you first try whisky? HB -Not until I worked in the Whisky Exchange. I worked in craft beer, first. 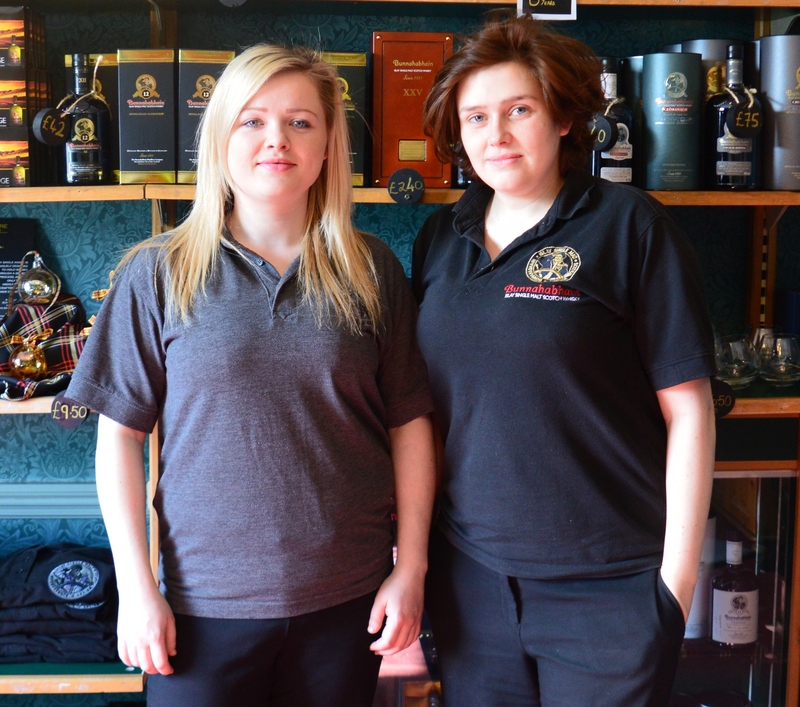 Advice for all whisky women out there? HB – You are no different to the men in relation to whisky. KR – There is a dram out there for everyone, keep looking. 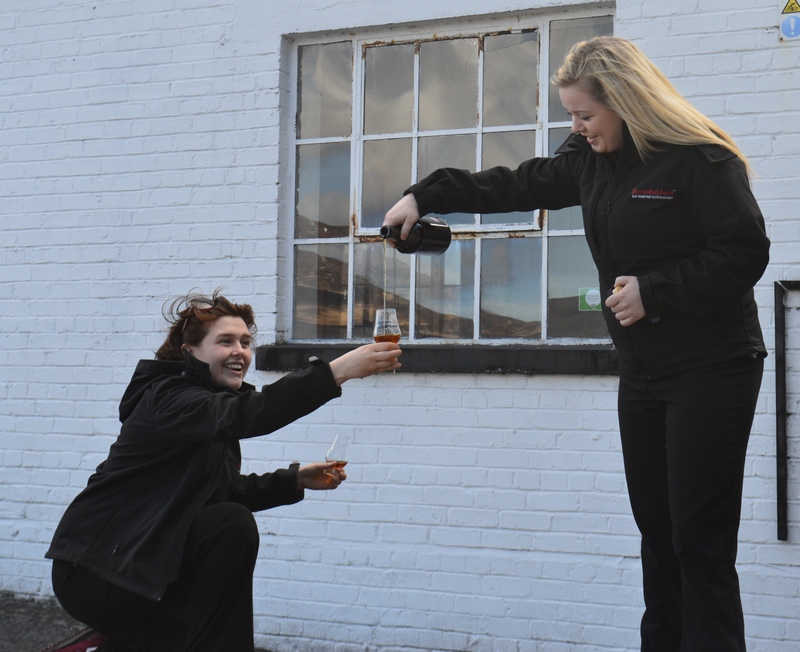 You will find a dram you love! How can the industry improve and become more female inclusive? HB- Offer time and encourage perseverance. Allow women to realise they tend to be better at nosing and tasting. KR – THINK of women as equal. Most important thing about whisky? HB – What you get out of it. 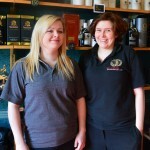 KR – ENJOYING a good Islay whisky. Thank you for a fun, informative visit. 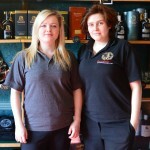 The Bunnahabhain Renaissance Girls ~ Hester & Kellie.